Ο οίκος δημοπρασιών RM Sotheby’s το 2013 έβγαλε στο σφυρί το Chevrolet Engineering Research Vehicle II (CERV II) του 1964 και δύο χρόνια μετά, θα δημοπρατήσει και το πρώτο CERV της Chevrolet. Πρόκειται για ένα πειραματικό πρωτότυπο της Chevrolet, πάνω στο οποίοι οι μηχανικοί της εργάστηκαν αρκετά χρόνια δοκιμάζοντας διάφορες τεχνολογίες που πέρασαν στα μοντέλα παραγωγής. Το Engineering Research Vehicle ξεκίνησε ως project το 1959 και πάνω σε αυτό οι μηχανικοί της Chevrolet ανέπτυξαν την ανεξάρτητη ανάρτηση της Corvette Stingray του 1963. Διαθέτει σωληνωτό πλαίσιο από κράμα χάλυβα, μολύβδου και χρωμίου, με το σώμα του να είναι κατασκευασμένο από πολυεστέρα και να ζυγίζει μόλις 36 κιλά. Κίνηση αρχικά έπαιρνε από έναν V8 κινητήρα 4,7-λίτρων με το μπλοκ του να είναι από κράμα πυριτίου, ενώ στη συνέχεια φόρεσε έναν αλουμινένιο V8 6,2-λίτρων. Το βάρος του CERV I δεν ξεπερνά τα 657 κιλά και αφού πέρασε κάποια χρόνια στο μουσείο της GM, πουλήθηκε σε έναν συλλέκτη. Το αυτοκίνητο θα δημοπρατηθεί στο φετινό Pebble Beach όπου αναμένεται πως θα πιάσει τιμή μεταξύ 1,3 και 2 εκατ. δολαρίων. 377 cu. in. OHV aluminum experimental V-8 engine, four-speed manual transmission with a lightweight clutch, independent front and rear suspension with variable-rate coil springs, shock absorbers, and a front stabilizer bar, and four-wheel heavy-duty, iron-lined, cast-aluminum finned drum brakes. Wheelbase: 96 in. 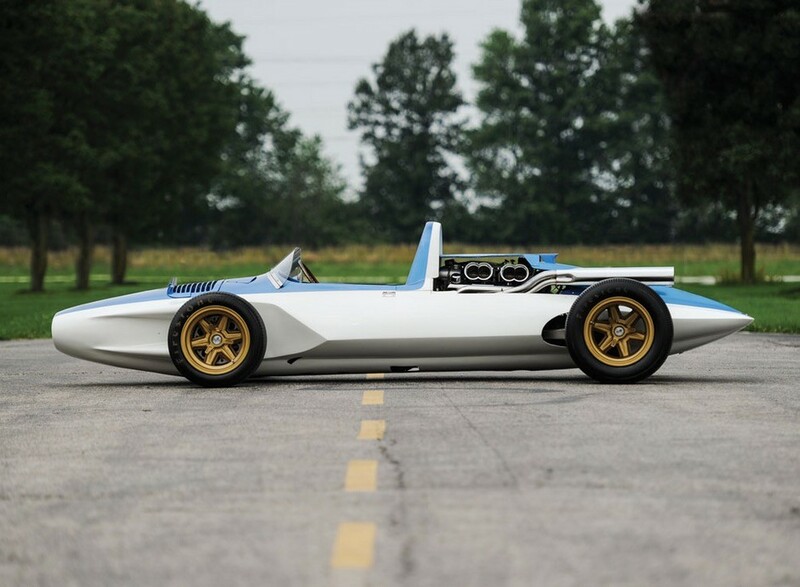 The Chevrolet Engineering Research Vehicle (CERV) was not originally created as a Corvette test bed, nor was it created to do entirely what its name claimed. 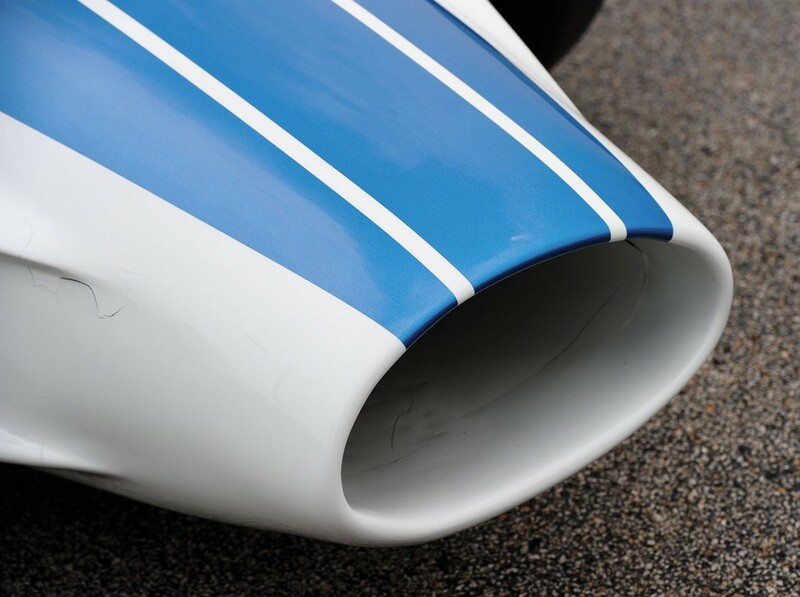 Ostensibly, it would be a functional single-seat racing vehicle on which Chevrolet engineers could experiment, developing new tricks for the entire range of Bow Tie cars. However, projects in which GM Director of High Performance Vehicles Zora Arkus-Duntov, was involved generally had an ulterior motive. In this case, it was that CERV could actually win races. Arkus-Duntov started dreaming mid-engined at Sebring in 1957, when, driving one of the specially built Corvette SS cars, he struggled with heating problems. Initially, he looked at a Corvette with a rear transaxle, built as a prototype that year and dubbed the “Q Corvette,” but when Chevrolet unofficially began to loosen their ban on racing-related activities yet also prepared to introduce the rear-engined Corvair, he was able to turn in a different direction. He proposed that a racing car with a Corvair-style drivetrain configuration could offset public skepticism about a rear-engined car. 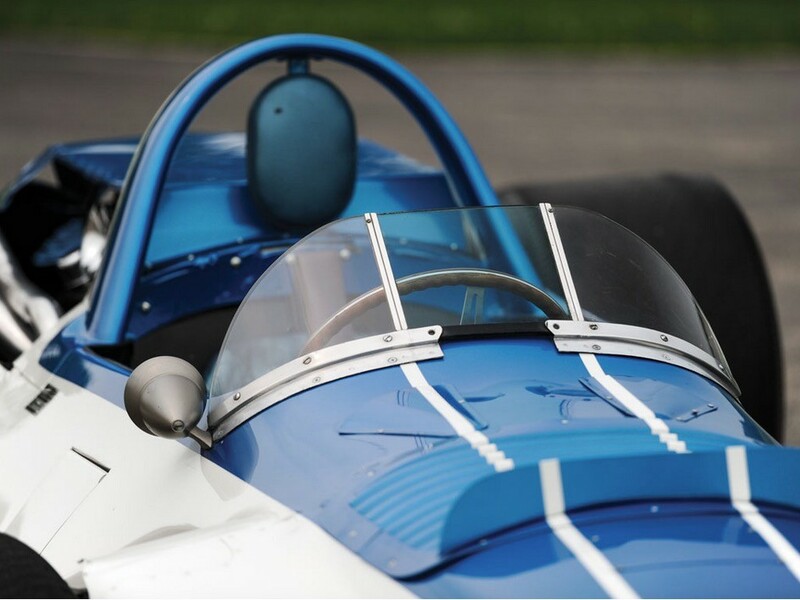 Creating the racer was the task of Arkus-Duntov and his engineers, Harold Krieger and Walt Zetya. 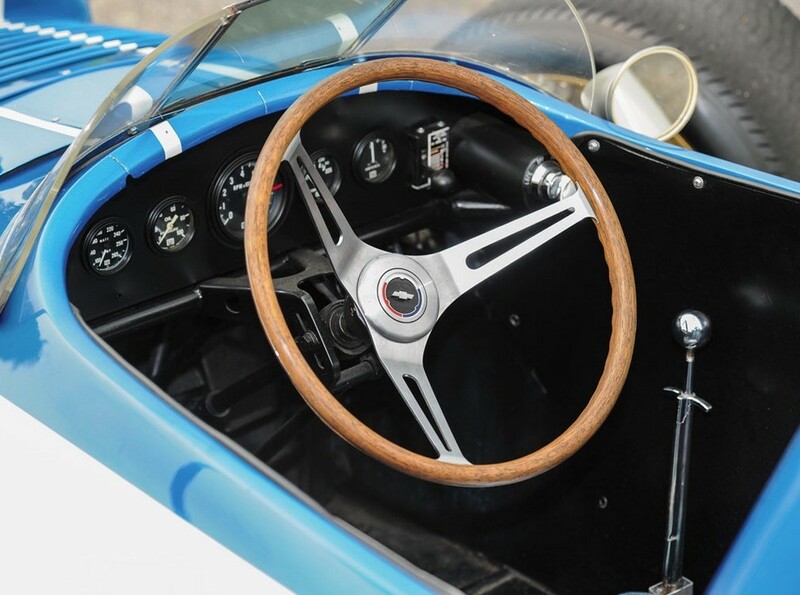 Initially known as the “R Car,” its specifications were purposely drawn as broadly as possible; its dimensions would make it eligible for the Indianapolis 500, but it would also fulfill its creator’s primary criteria of a vehicle suitable for climbing Pikes Peak. 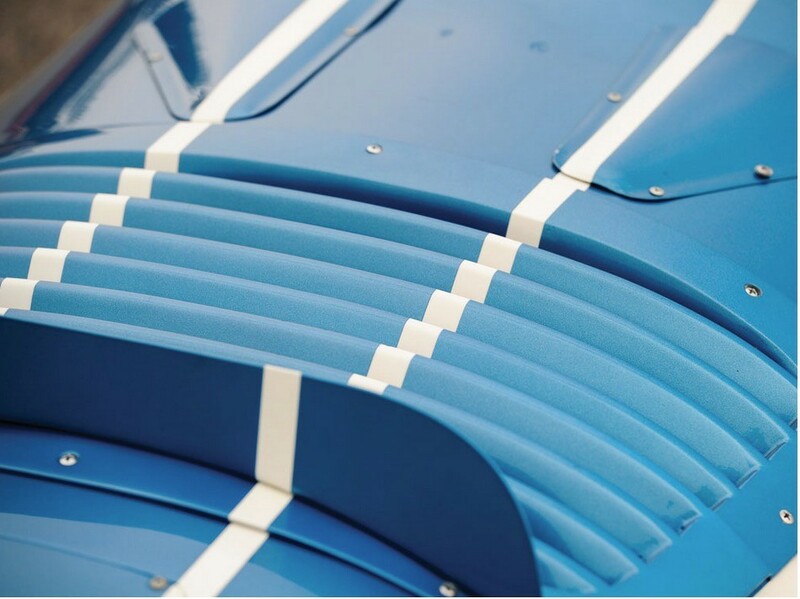 The “build” began in early 1960 but was not completed until late summer, due to Arkus-Duntov’s involvement with Briggs Cunningham’s Corvette Le Mans team. At the time of its completion, the vehicle, now officially known as CERV but also as Hillclimber, for its intended purpose, was a thoroughly exotic car. 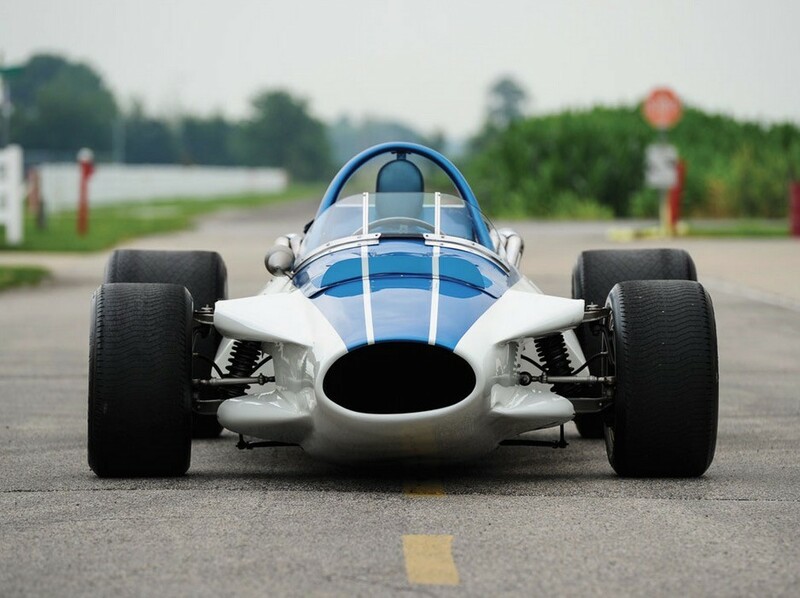 Its basic skeleton was a chromium-molybdenum steel tubular space frame, resembling the Italian superleggera bodies created by Touring, triangulated both front-to-rear and laterally and weighing a mere 125 pounds. The body, designed by Larry Shinoda and Tony Lapine, was molded in two layers of fiberglass and weighed only 80 pounds. 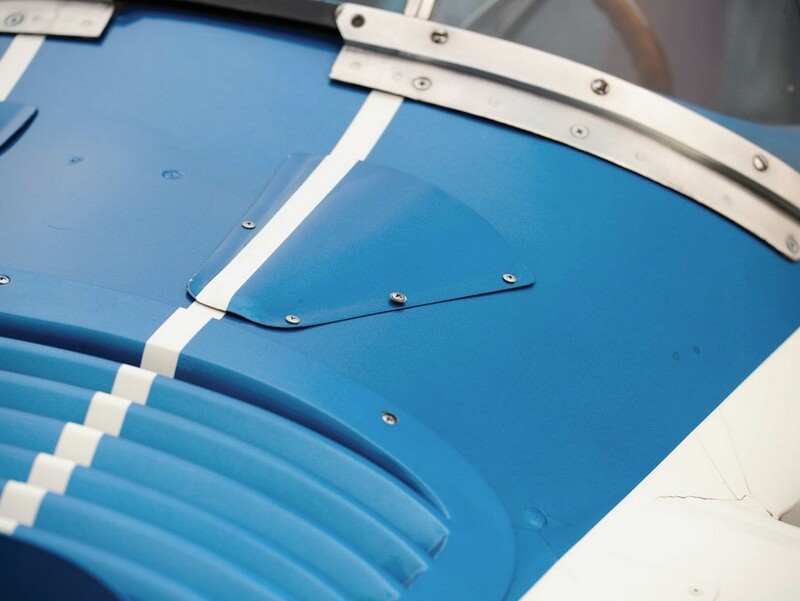 Originally powering this ultralight shell was a fuel-injected, all-aluminum, 289-cubic inch V-8, based upon an earlier Corvette prototype engine with a silicon alloy block (enabling the use of production Corvette pistons directly in the cylinder bores, without the use of cylinder liners) and mostly aluminum engine accessories, including the flywheel, pressure plate, and water pump housing. Other components were even lighter, with magnesium used for the clutch housing and ultralight intake setup. Being rear-mounted, the intake could be as tall as Zora wanted and sprouted 16-inch-tall stacks and a finned plenum atop, which gulped cool air from inlets at the back of the pod behind the headrest. Based upon an earlier Arkus-Duntov design for a 315-brake horsepower 289 V-8, it proved to make 112 percent of that horsepower at 6,200 rpm. 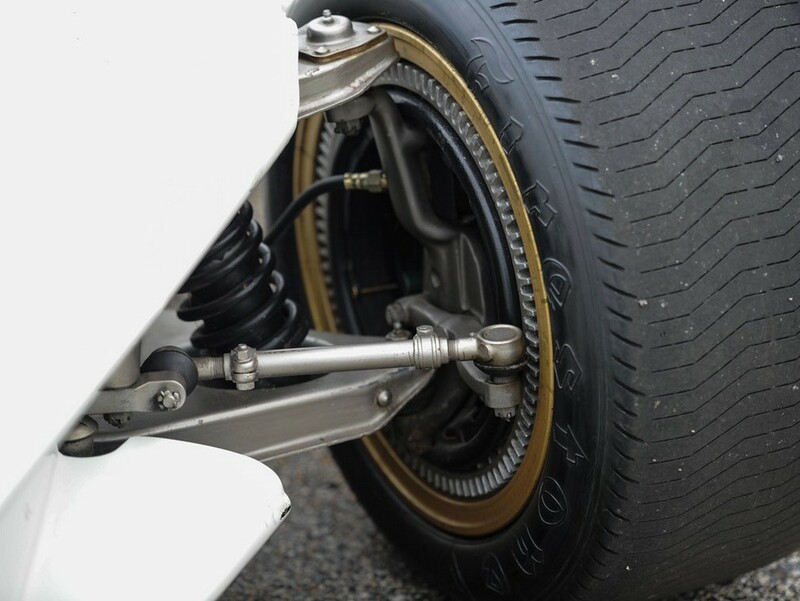 Due to packing requirements, the drivetrain was at least somewhat conventional, with a hydraulic clutch and reverse-geared four-speed transmission hung off the back. Corvette SS-derived quick-change gearing provided 13 optional ratios, from 2.63:1 to 4.80:1. The rear halfshafts were stressed members, with the SS’s Halibrand inboard Corvette 11-inch brakes. An entire Corvette SS front suspension assembly was used, including a steering rack with a quick-ratio Saginaw box. The finished CERV, weighing 1,450 pounds dry, showed up at Pikes Peak in September 1960 and began what would be an extremely varied life. Over the course of 60 or so runs up and down a 0.9-mile-long segment of Pikes Peak, CERV proved not well suited to hill climbs. No problem, Arkus-Duntov decided; that was why they had made the car capable for Grand Prix as well. 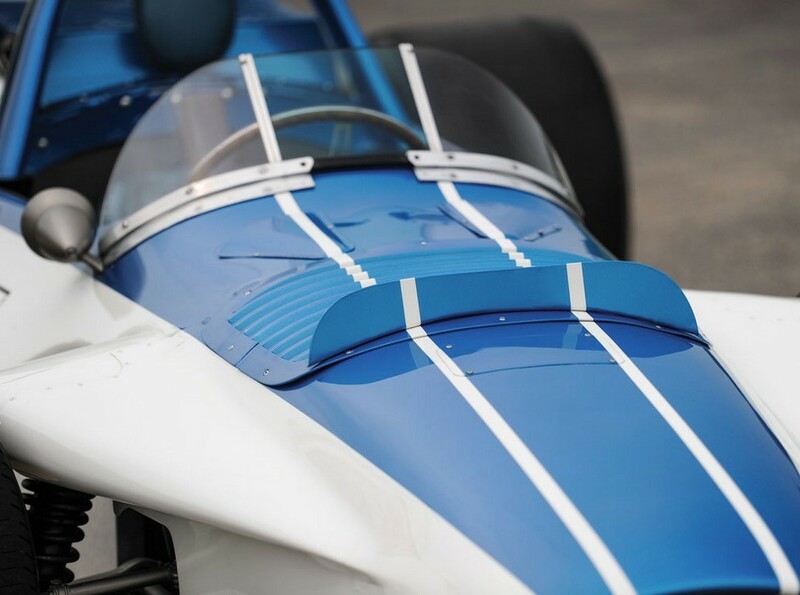 The car was track-tested with Firestone, after which Arkus-Duntov scheduled time for the car at Riverside Raceway, just prior to the Grand Prix there, as well as sought permission to debut it before the race. At Riverside, Arkus-Duntov, Dan Gurney, and Stirling Moss all drove CERV publically; Gurney and Moss both lapped the course in a competitive 2.04 seconds. 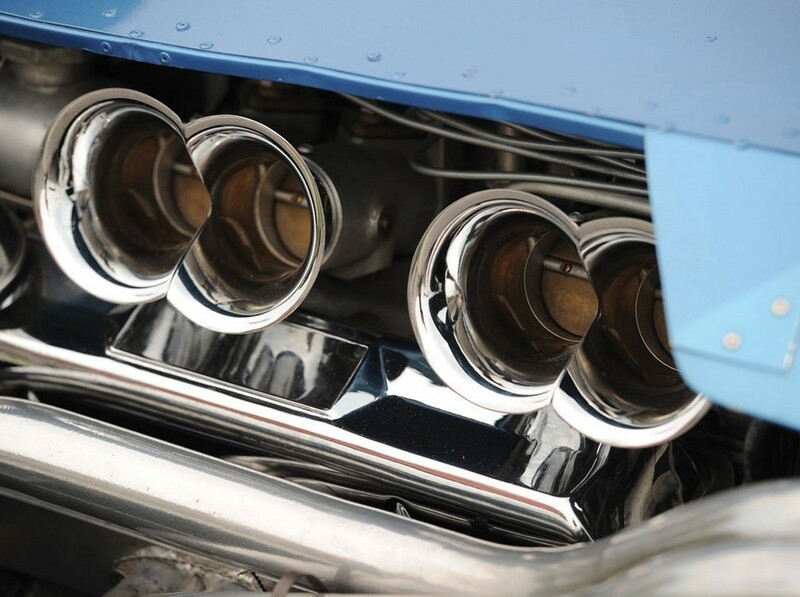 The team experimented and developed a 17-psi TRW turbocharged port-injection set-up with reversed stacks. 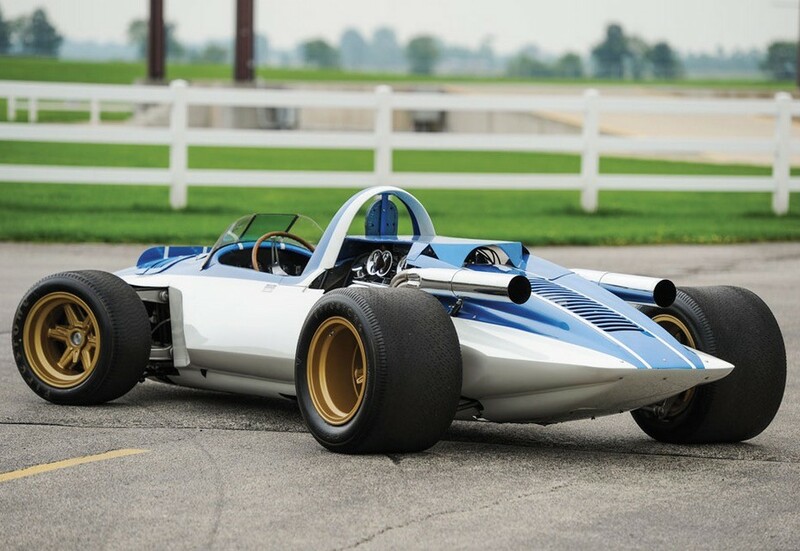 Running at 8.5:1 compression, CERV made 500 horsepower at 6,000 rpm on a dynamometer, making it, reportedly, the most powerful engine tested by General Motors until the Mk IV “Mystery Motor.” It was so powerful, in fact, that when it ran, it lifted the front wheels, leading to a Shinoda restyling of the car’s front end with aerodynamic modifications, giving the car a profile resembling an F1 or Indianapolis car. 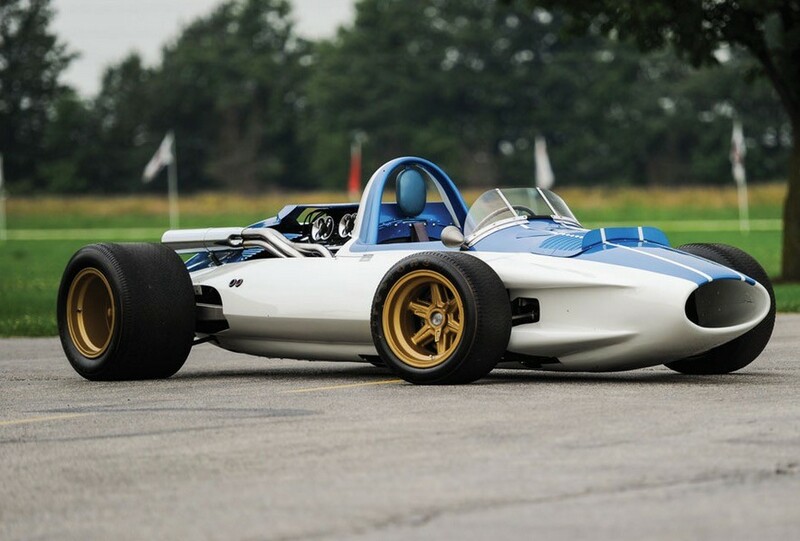 By 1964, CERV II was already underway, and the car offered here, the original CERV, thus became known retrospectively as CERV I. 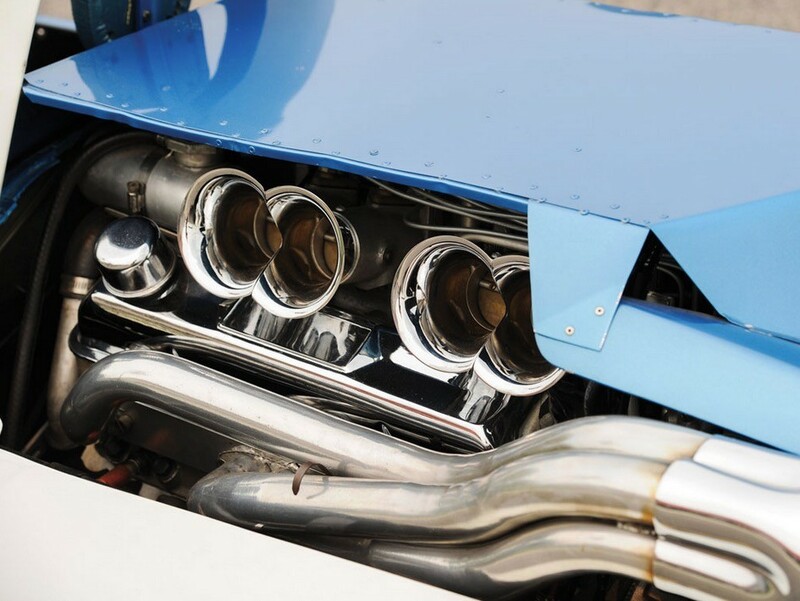 That year, it received its seventh engine, a Hilborn fuel-injected 377-cubic inch V-8, specially cast by Alcoa at a reported cost of $284,000 and producing unknown (but, it can be assumed, very great) horsepower. 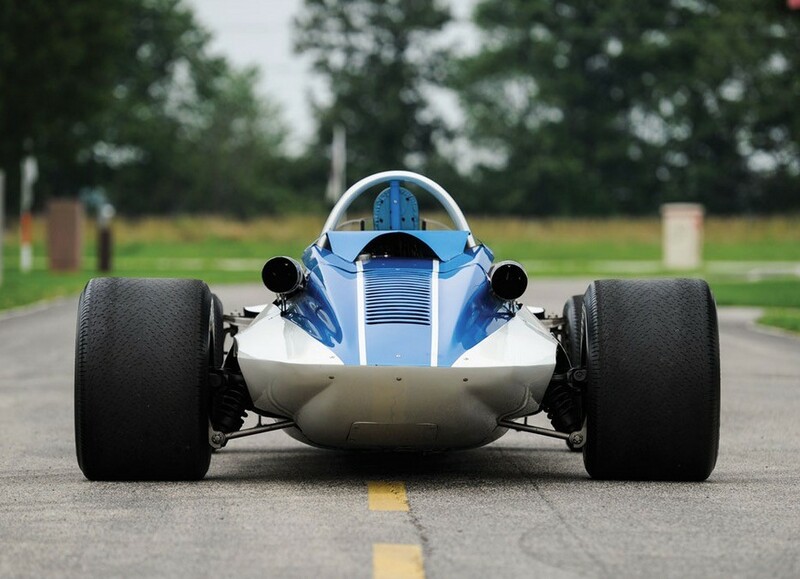 With this engine, at one of its last outings that year, Arkus-Duntov took the highly revised CERV I to 206 mph on the banked track of the GM Milford Proving Grounds. It was another 22 years before Bobby Rahal would go faster at the 1986 Indianapolis 500. Like most General Motors test vehicles, the most that CERV I could look forward to, now that a replacement was underway, was the yawning maw of an industrial shredder. 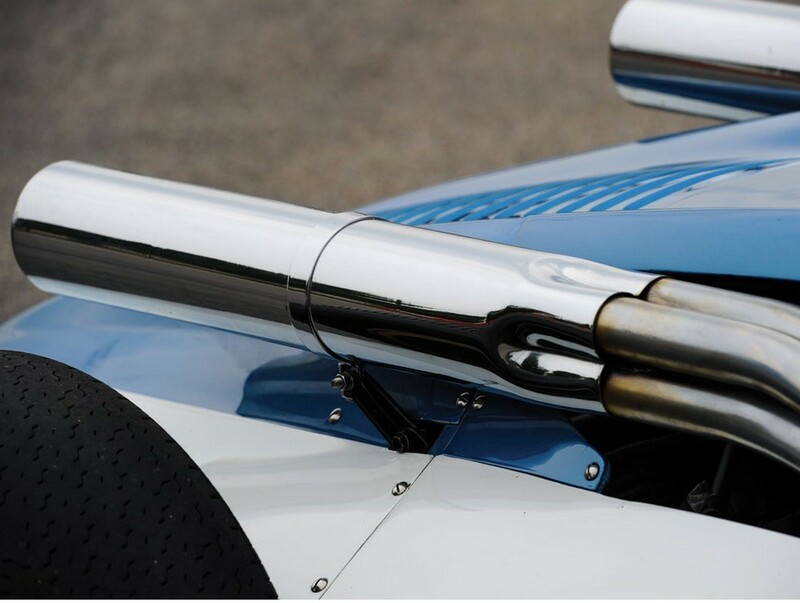 Arkus-Duntov stepped forward, however, with his typical desire to protect his creations, and instead had the car restored, keeping it in its final 1964 Shinoda configuration with the aluminum 377 V-8. 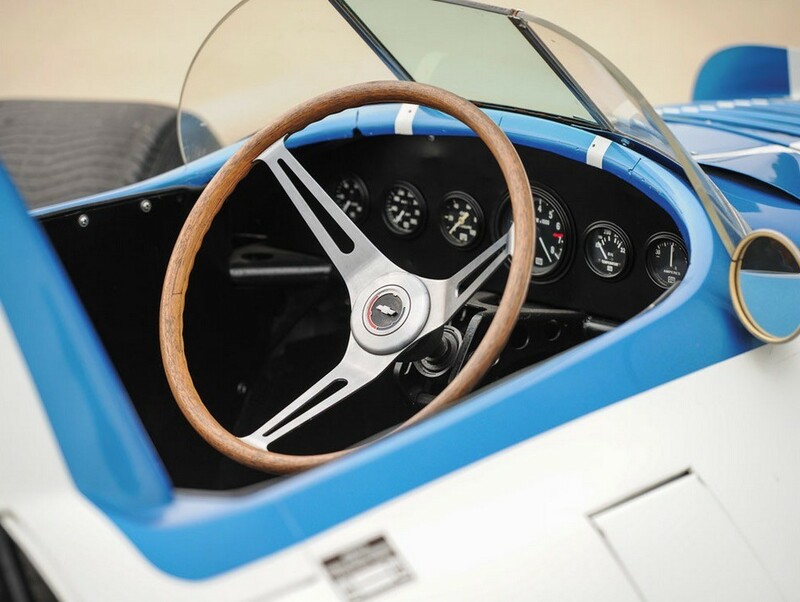 In 1972, the car, along with CERV II, was gifted by GM upon Briggs Cunningham for his automobile museum in Costa Mesa, California, with the idea that it would be a safe place for a prototype, as a museum, the car would stay there for many years to come (and never escape into “private” hands). Like most collections, however, Cunningham’s was not permanent, and when he sold the majority of his collection to Miles Collier at the end of 1986, both CERVs went along with the deal. The current owner acquired the car from Mr. Collier and has lovingly preserved it ever since in his own private museum, alongside numerous other world-class and important Corvettes. It has earned innumerable awards, far too many to record here, including a recent induction to the Bloomington Gold Great Hall. One must consider the importance of this car. 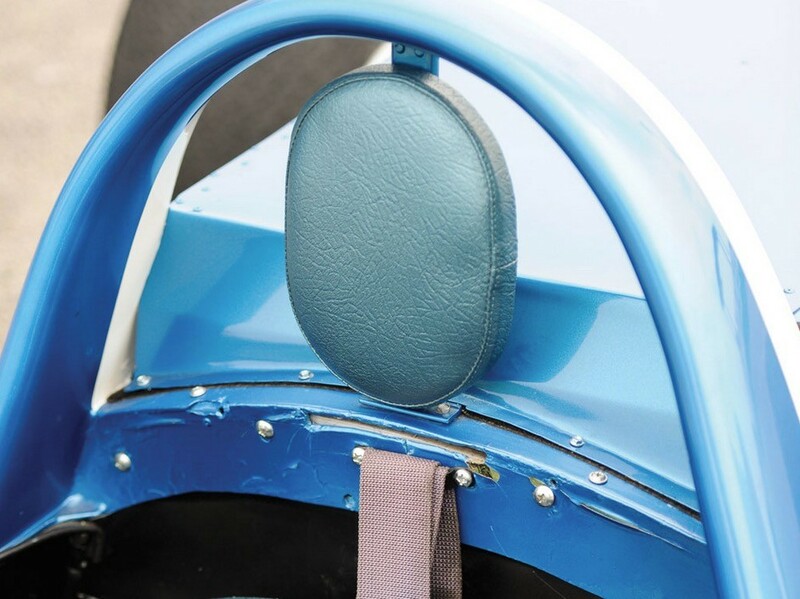 It was a pioneer in the use of aluminum, and its transverse leaf-spring independent rear suspension is the predecessor of the same basic design that Corvette is still using today, 55 years after this car was built. For four years, it ran at Riverside and on the test track at Milford, tested numerous engines being developed for possible use in the Corvette, pioneered new methods and features that would influence America’s Sport Car for decades, and was, to sum it all up, Zora Arkus-Duntov’s personal pet project, test bed, and dream factory. It stands aside such experimental landmarks of GM history as the Buick Y-Job, the LeSabre, and the turbine-powered Firebirds, with one major exception: it is for sale. Bidders interested in the 1960 Chevrolet CERV I are strongly encouraged to review the car’s fascinating, extensive multi-volume history file. The files are available for viewing at the Access the Knowledge desk.